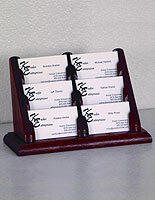 Encourage guests to take your contact information with this 9-pocket business card case, contact organizer, which is tiered for visibility. 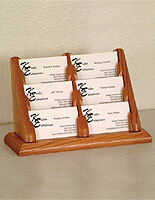 This wooden office display is an affordable, effective way to enhance professional decor. This business card case that is a countertop holder helps keep desk space clean of contact piles, while dispensing valuable phone numbers to visitors who need to stay in touch. 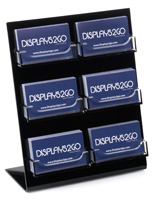 Displays such as this tabletop information dispenser keep customers connected with your organization long after they leave your establishment. 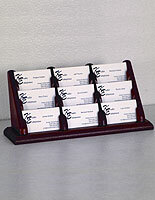 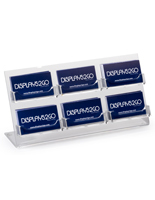 Buy this space-saving card case with 270 slots in one unit to boost sales. 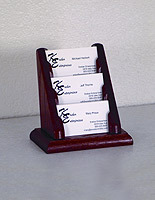 Although this product is for table mount, there it has a small footprint.